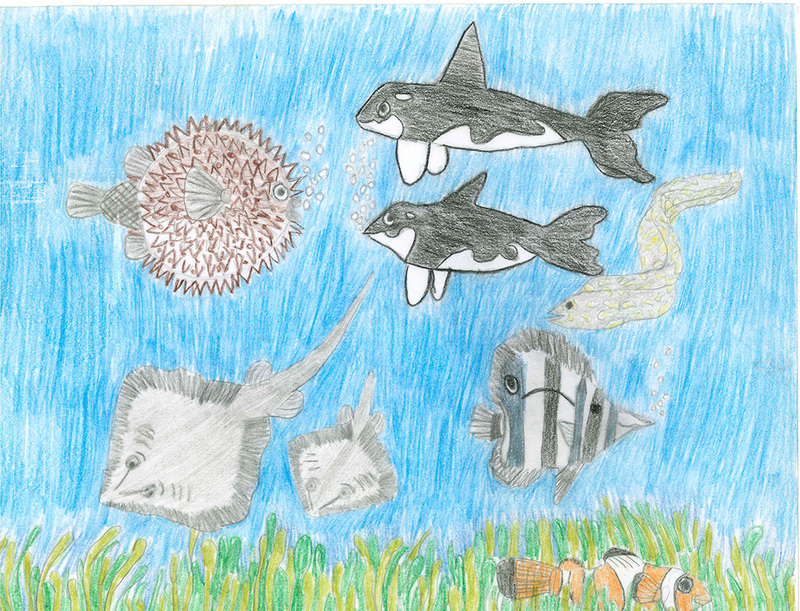 Thank you to all who submitted a drawing to our 3rd Annual Art Contestâ€”you made this a very successful contest. 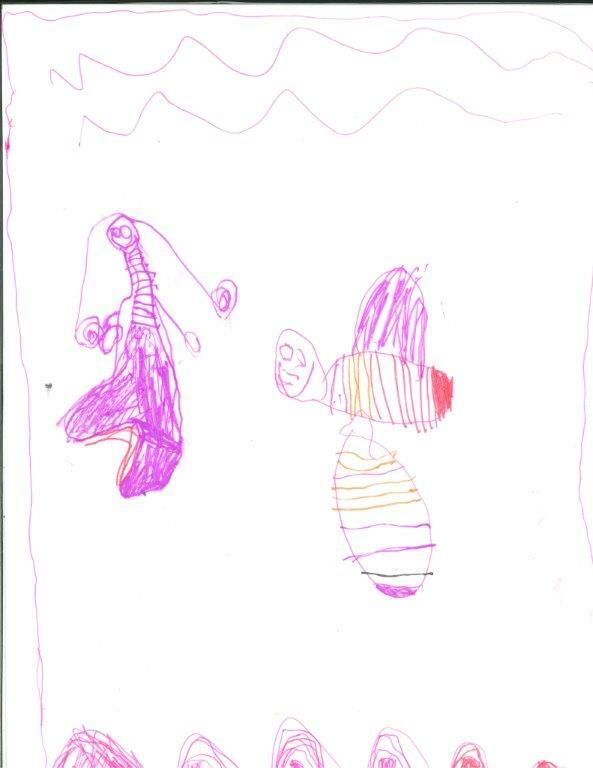 We really enjoyed each and every drawing that came in. Our winners are announced below (click thumbnails to see larger images). 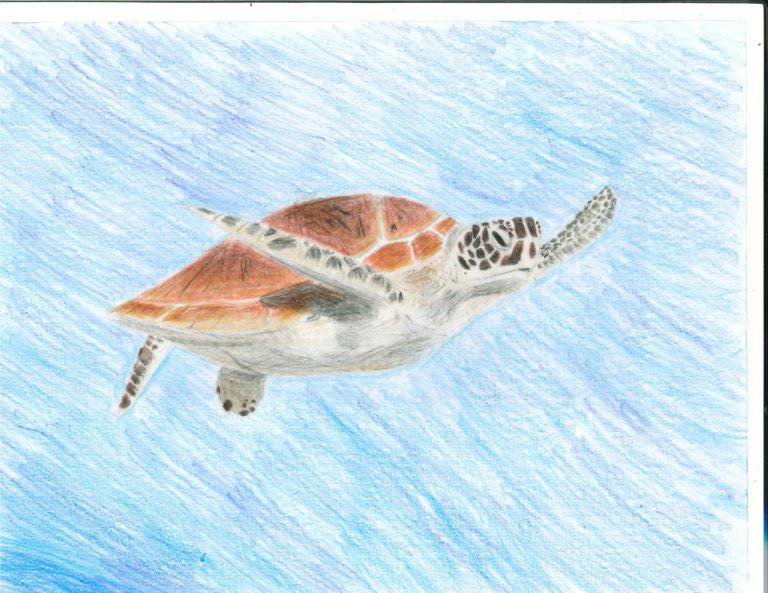 You can view the rest of the entries in our 2017 Art Contest Participant Gallery. 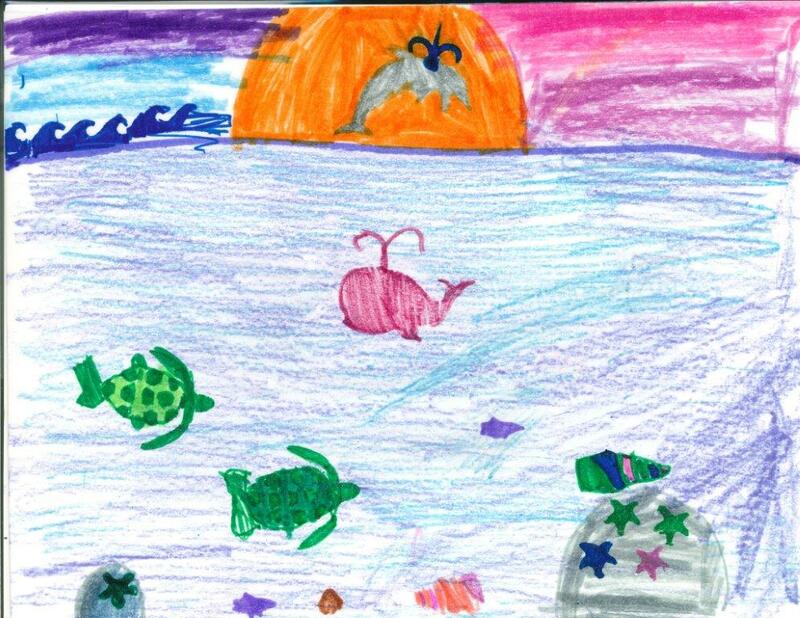 Quote from the Artist: "Sea turtles swimming, a whale and a dolphin jumping." 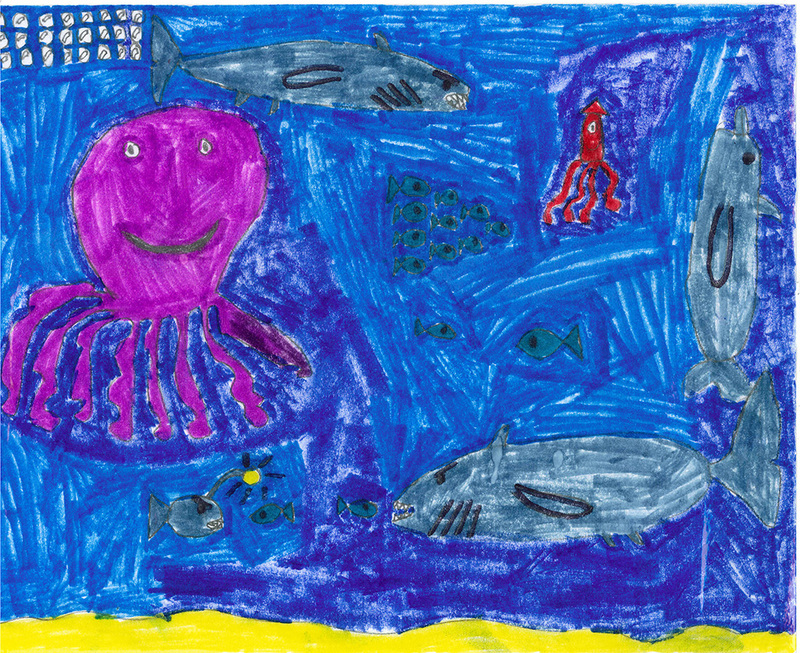 Quote from the Artist: "The sea creatures that my dad and I see when we fish at the beach." 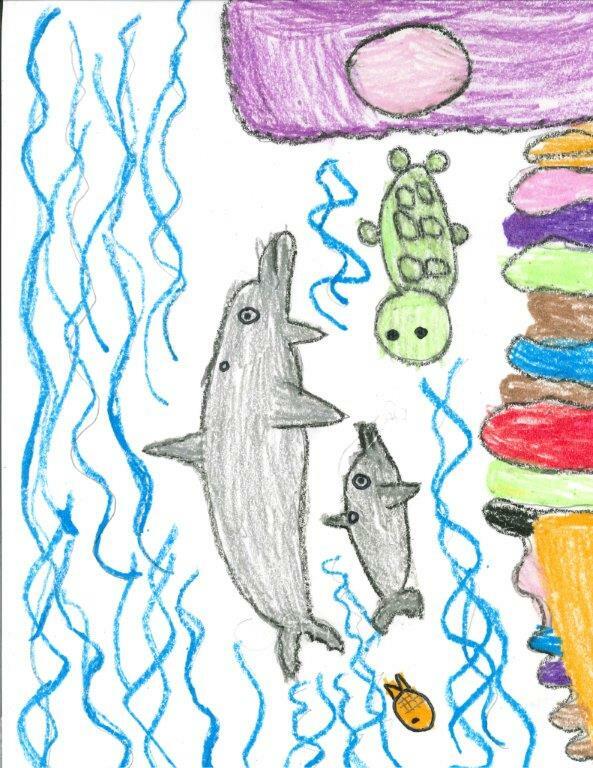 Quote from the Artist: "My picture is what I imagine dolphins do in the ocean. They swim, make friends, eat other fish. I love dolphins! 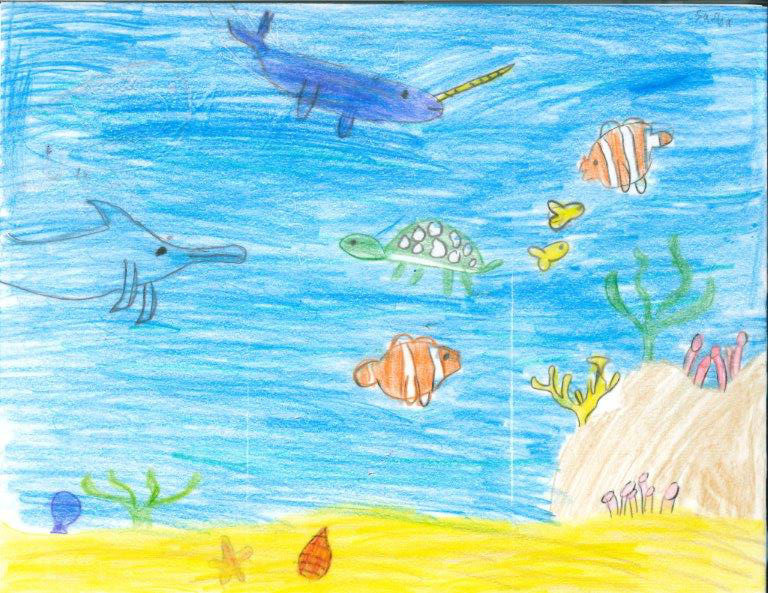 They are my favorite sea creature." 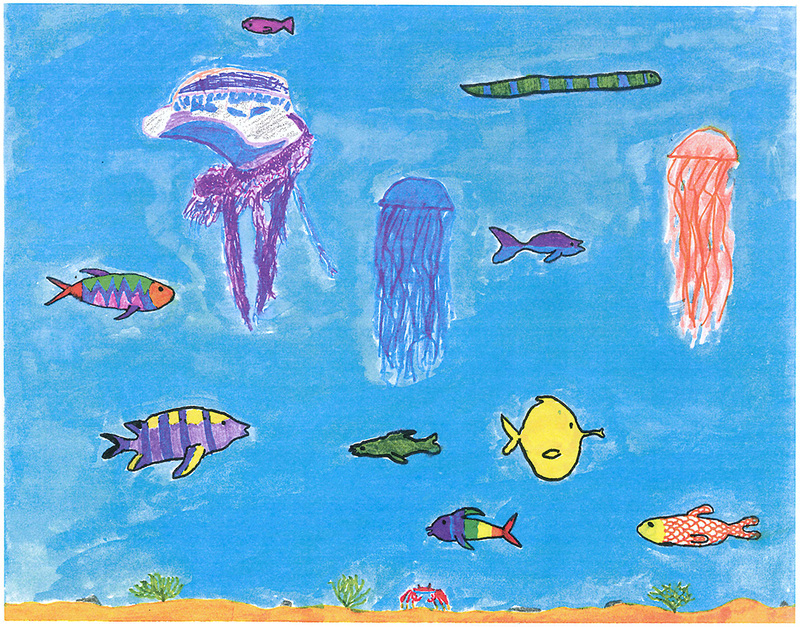 Quote from the Artist: "Rainbow themed sea creatures under the sea!" 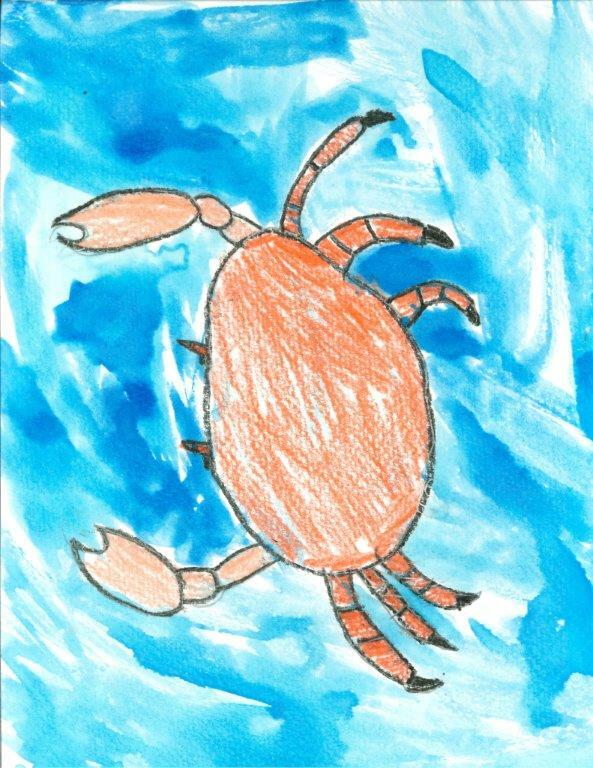 Quote from the Artist: "An orange crab in the water." 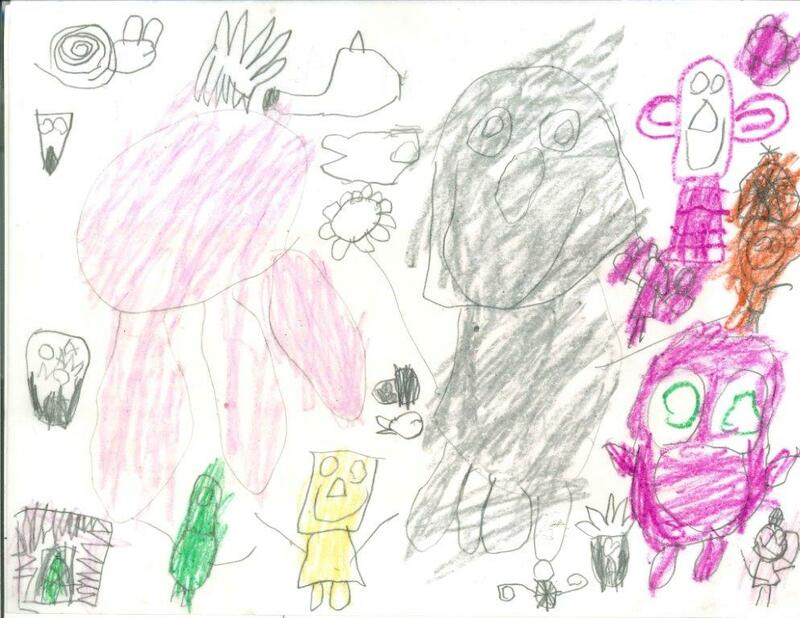 Quote from the Artist: "Peaceful, the animals are fun, playful and fast." 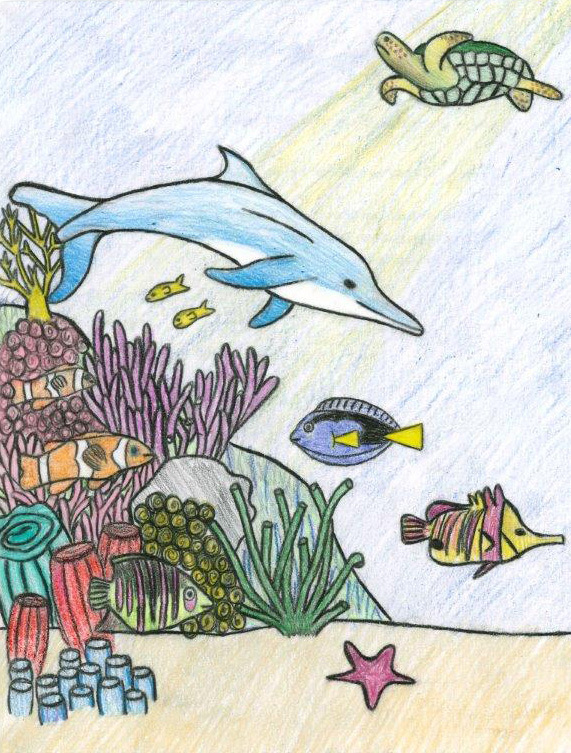 Quote from the Artist: "Dolphins jumping out of the water. 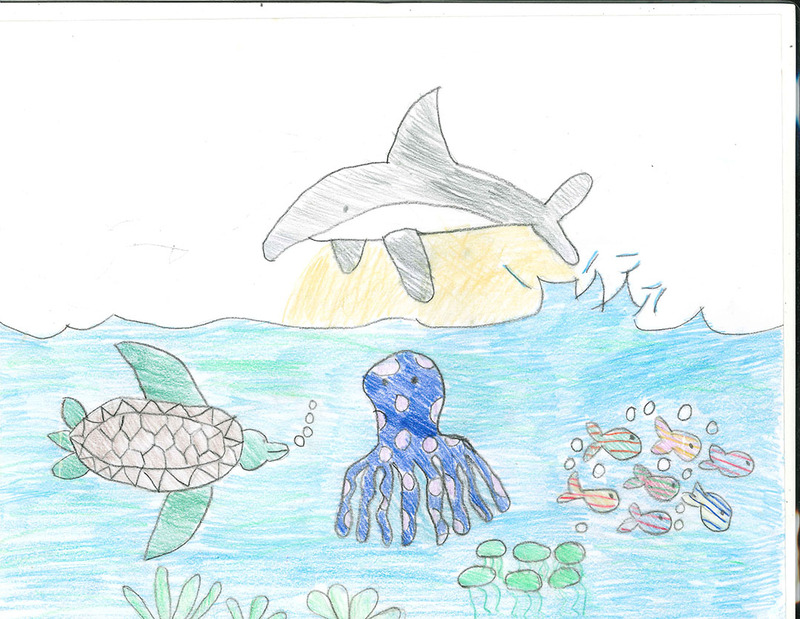 Turtle, octopus, jelly fish under water." 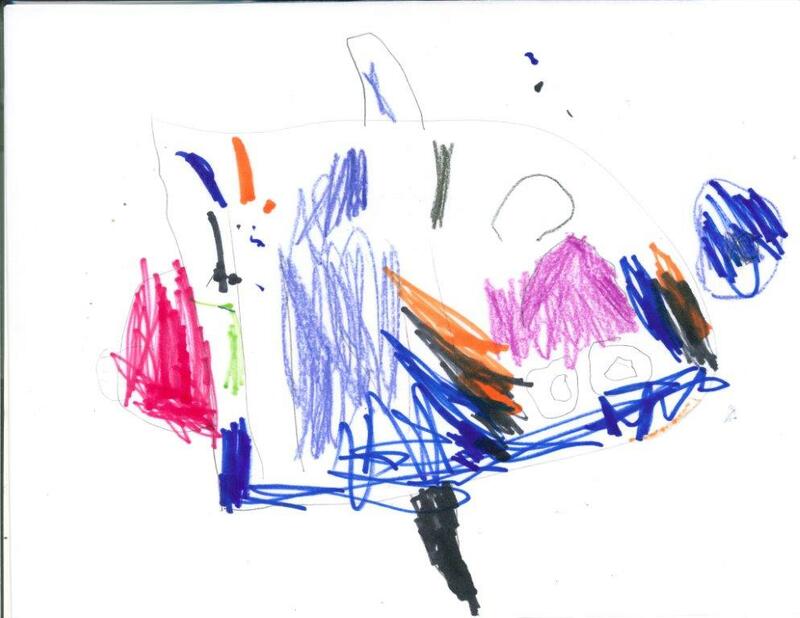 Quote from the Artist: "This is a shark with fish swimming into his wide open mouth." 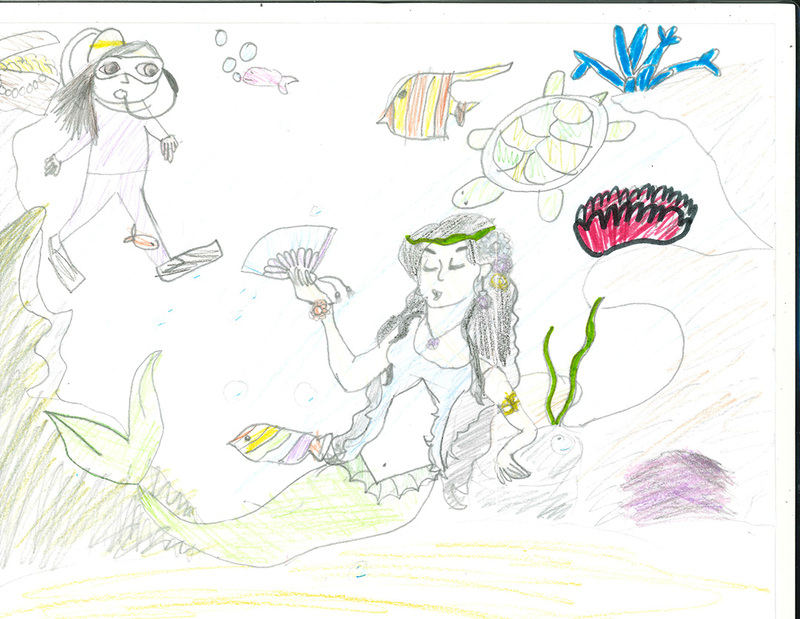 Quote from the Artist: "Bethany is the scuba diving girl in the picture and this is what she thinks she would discover." 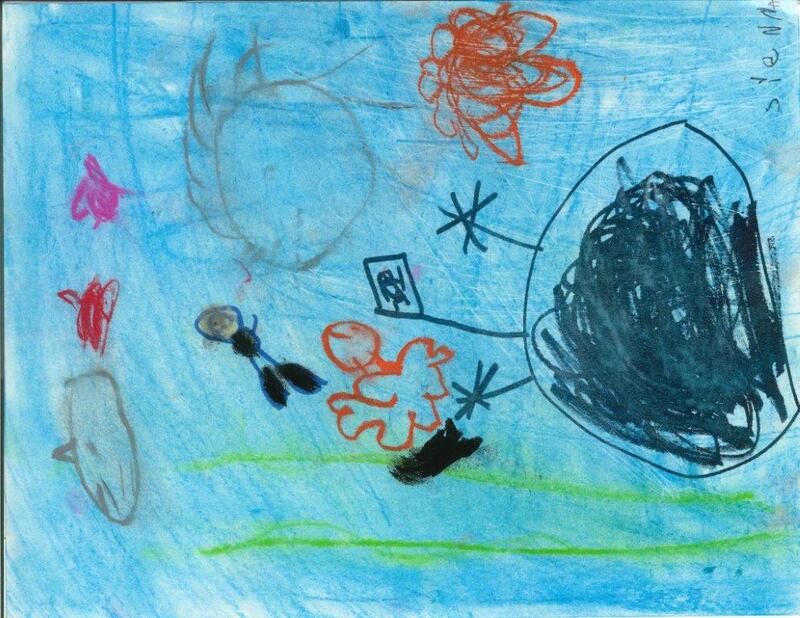 Quote from the Artist: "An octopus is defending itself from a shark attack." 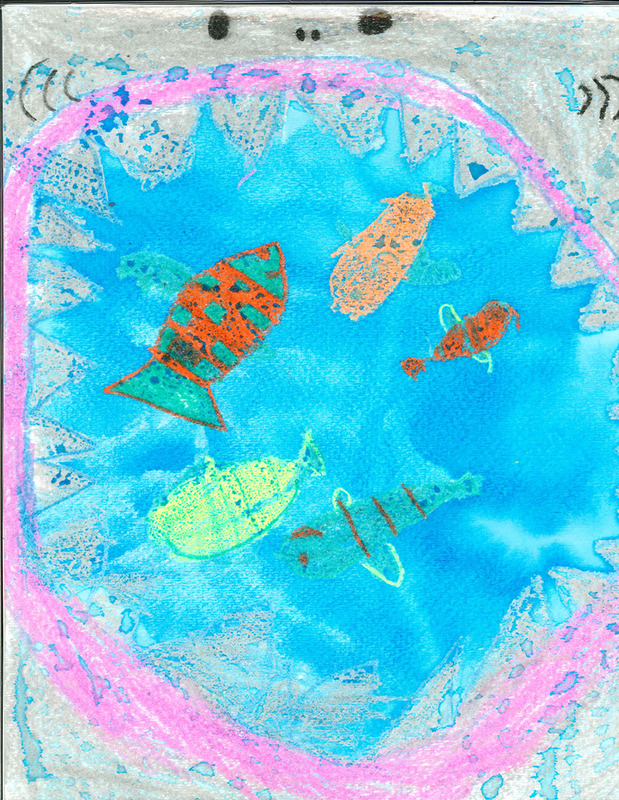 Quote from the Artist: "All of the fish are having fun under the sea." 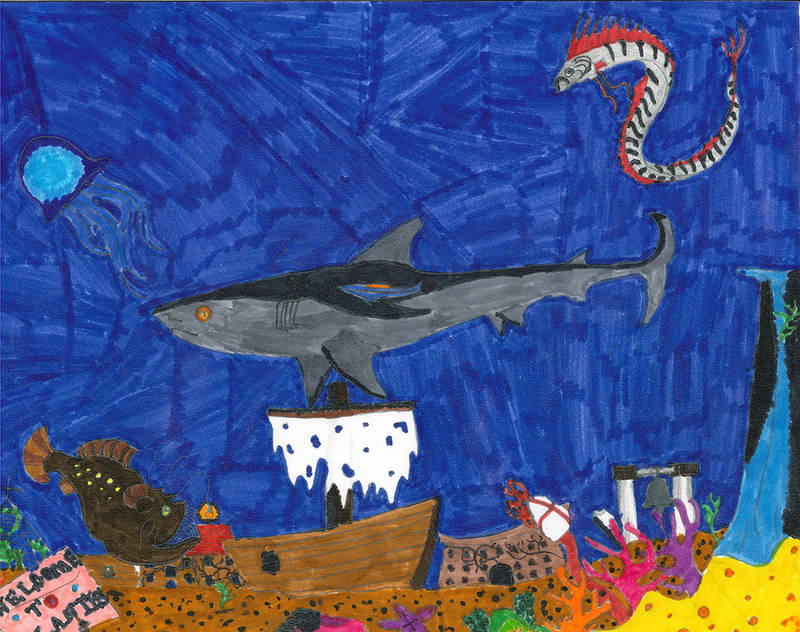 Quote from the Artist: "Sunken pirate boat, mermaid & fish." 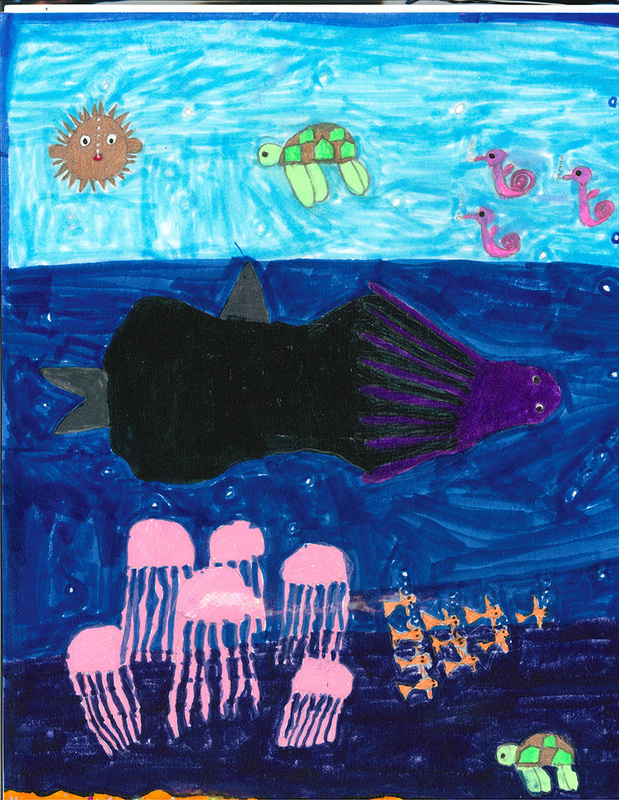 Quote from the Artist: "A few common sea creatures like fish, sharks, squid, dolphins & octopuses." 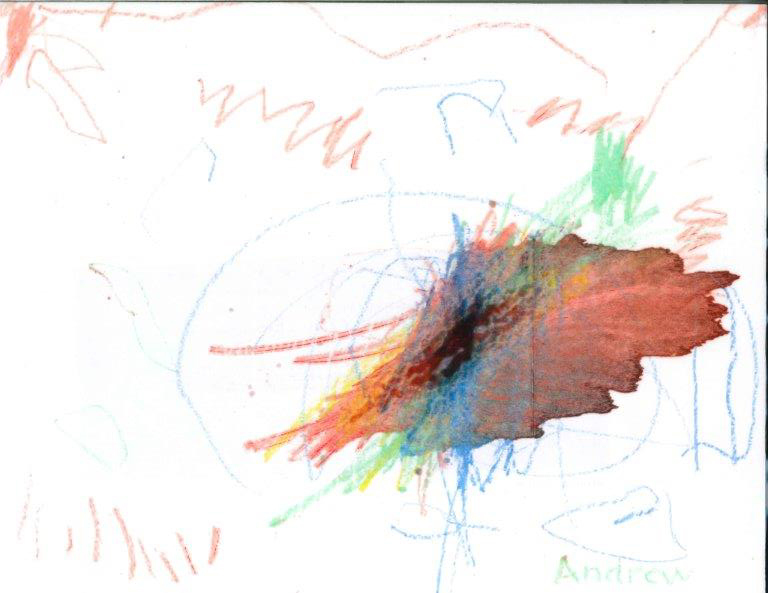 Quote from the Artist: "He is looking for a friend because he is lost." 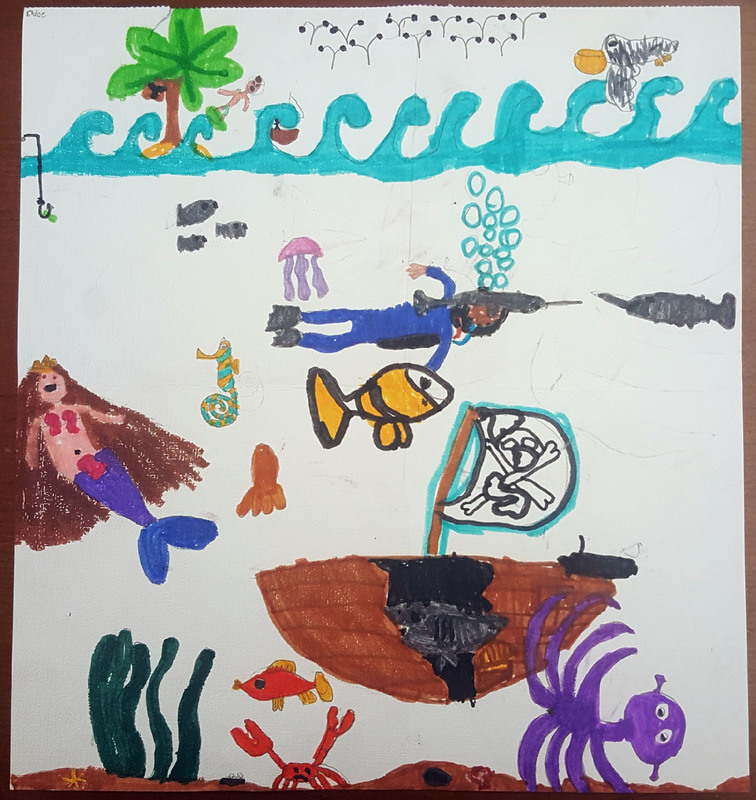 Quote from the Artist: "This is what you will see under the sea." 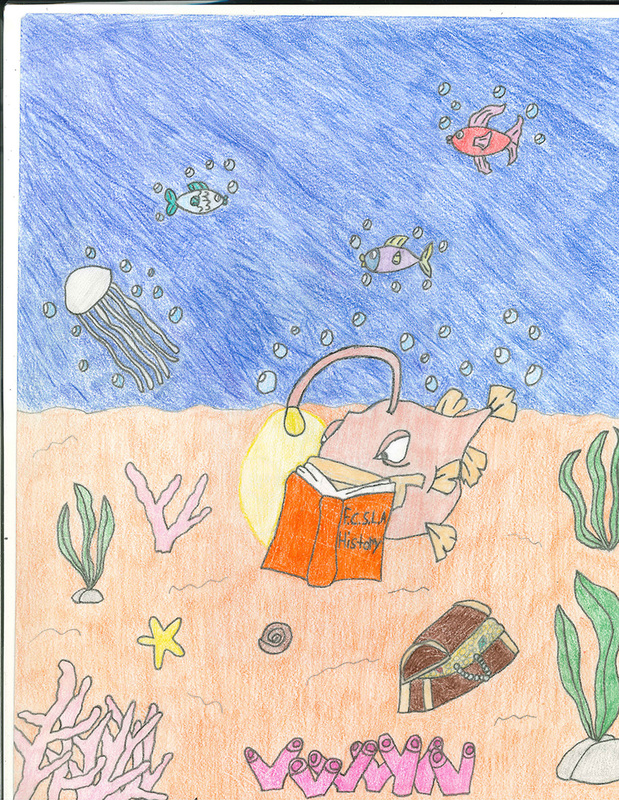 Quote from the Artist: "Mr. Angler has joined FCSLA and starts to read about its history." 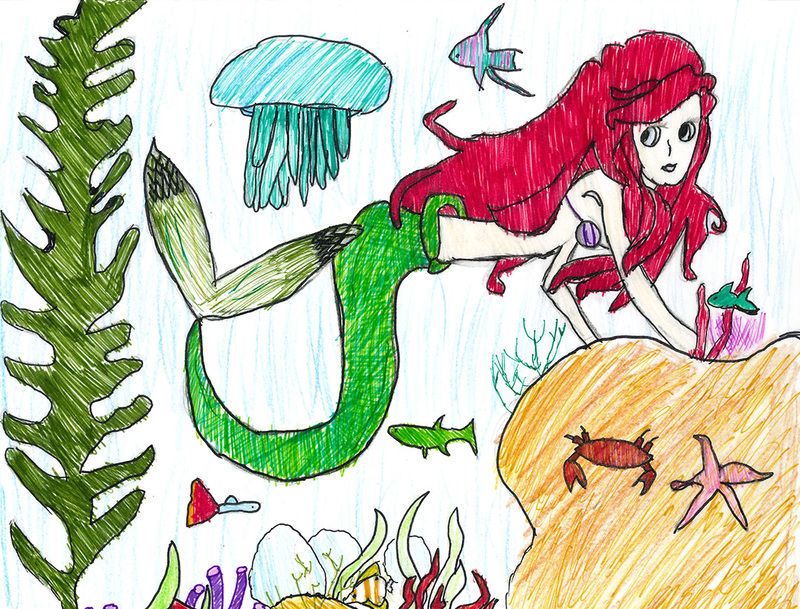 Quote from the Artist: "Drawing of a mermaid in the sea and then colored using flair markers and colored pencils." 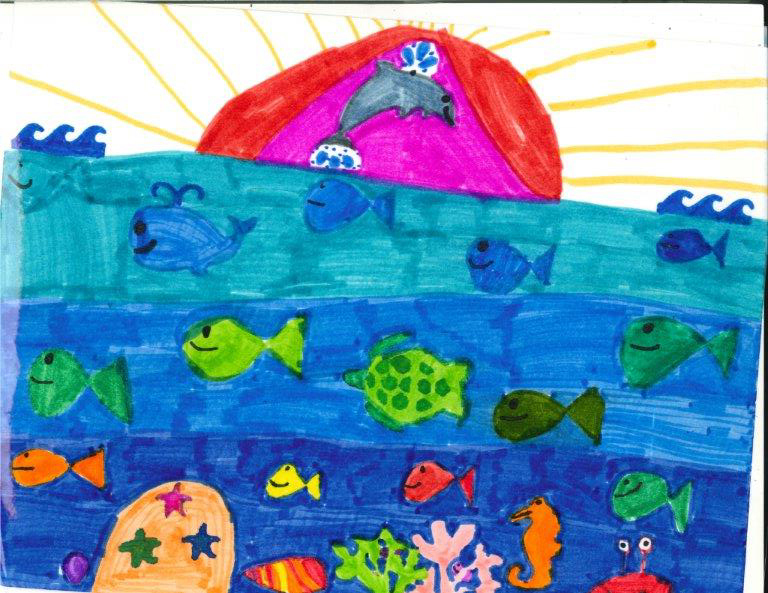 Quote from the Artist: "Blowfish, whales, eels, stingrays, and Clown fish on the bottom." 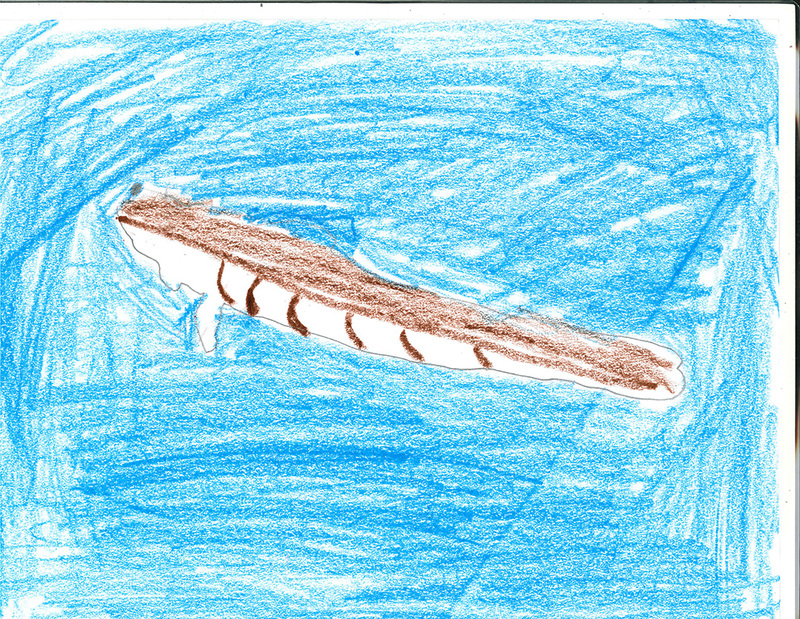 Quote from the Artist: "I drew this as a silvertip shark approaching Atlantis. 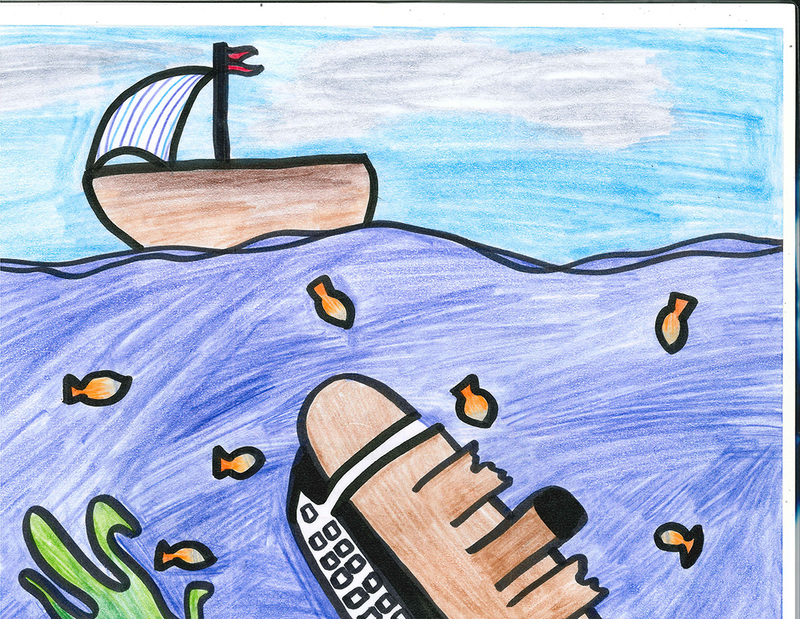 It was fun to imagine what Atlantis looks like." 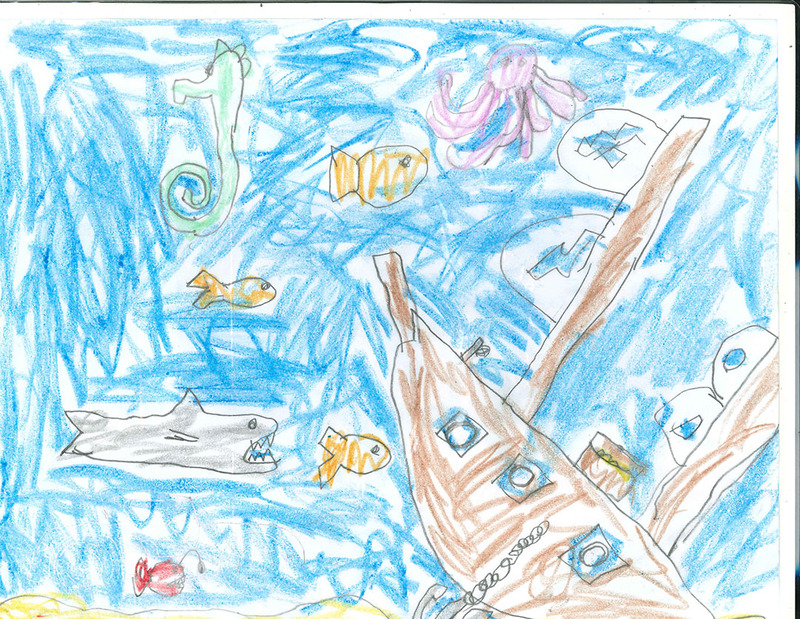 Quote from the Artist: "In my drawing I drew the Titanic sunken and there are schools of fish all around the ship." 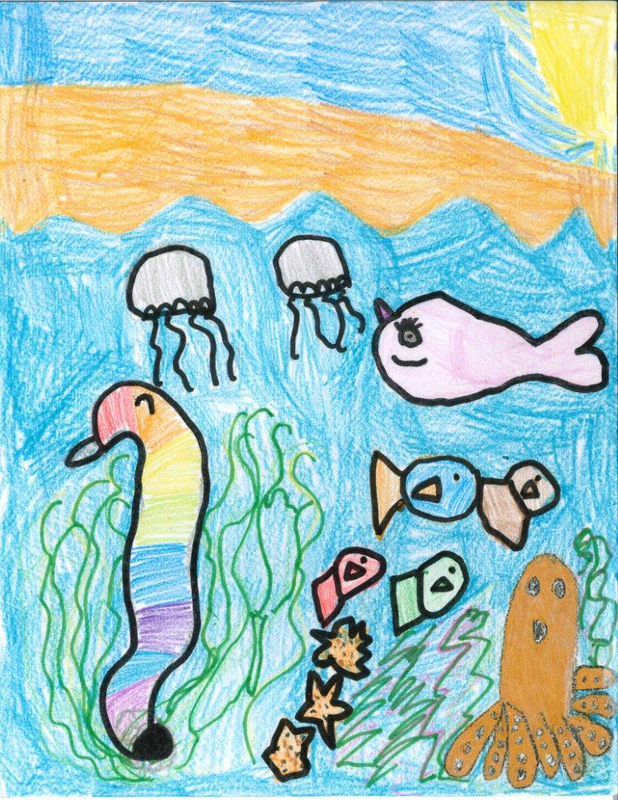 Quote from the Artist: "In my picture there are various sea animals such as a man o’war, two jellyfish, a sea snake, a crab and different kinds of fish. 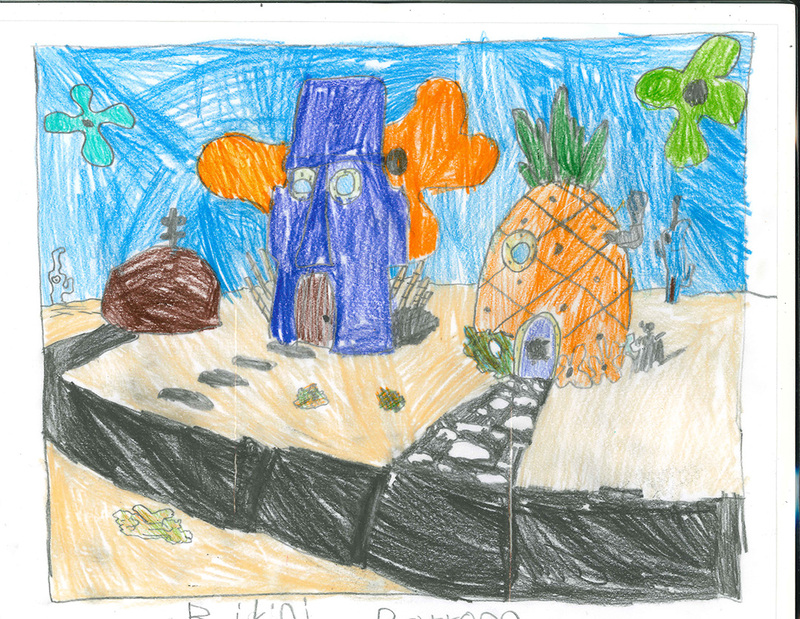 There is also seaweed, sand, rocks and water." 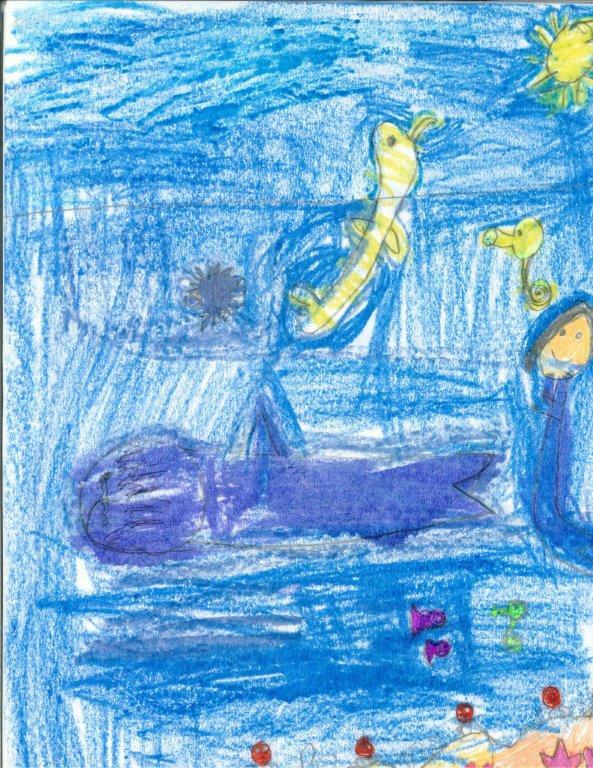 Quote from the Artist: "Under the sea, there exists a world of mystery and possibility, untouched by the human hand, waiting patiently to be discovered." 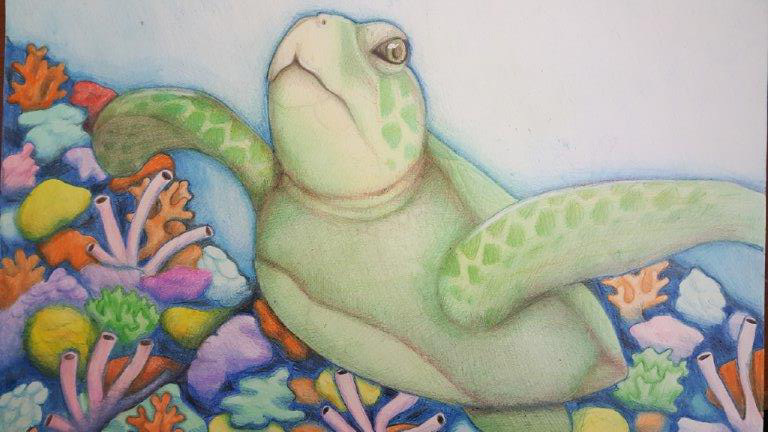 Quote from the Artist: "Turtle swimming." 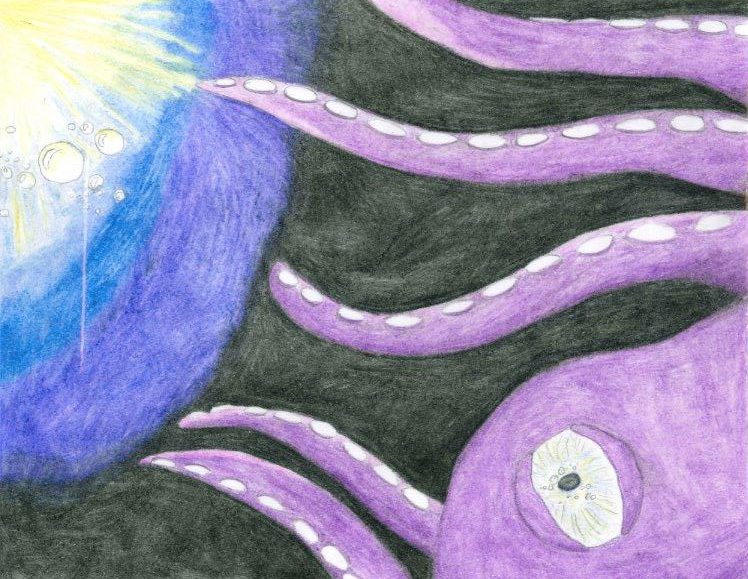 Quote from the Artist: "Deep in the ocean, a Kraken yearns for an adventure. He travels upward searching for a friend or lunch. You see him just as he is reaching toward the light." 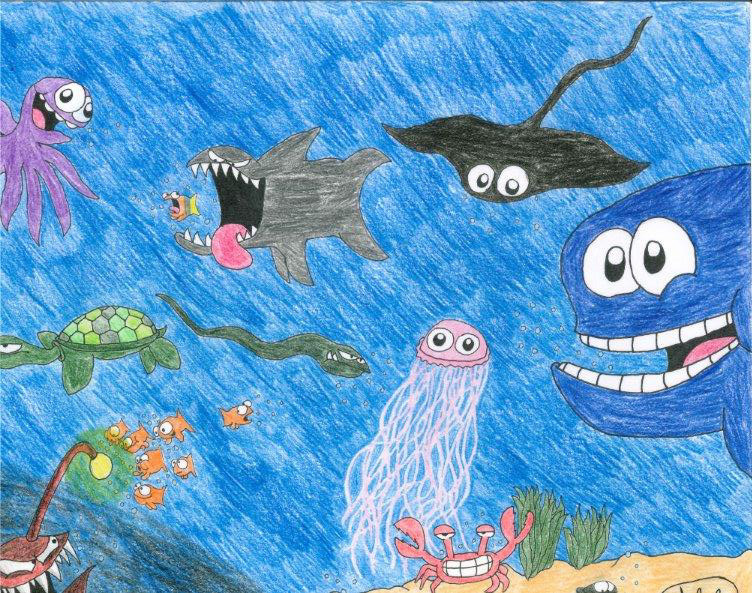 Quote from the Artist: "From lazy starfish to monstrous Angler fish, the ocean is an exciting place. 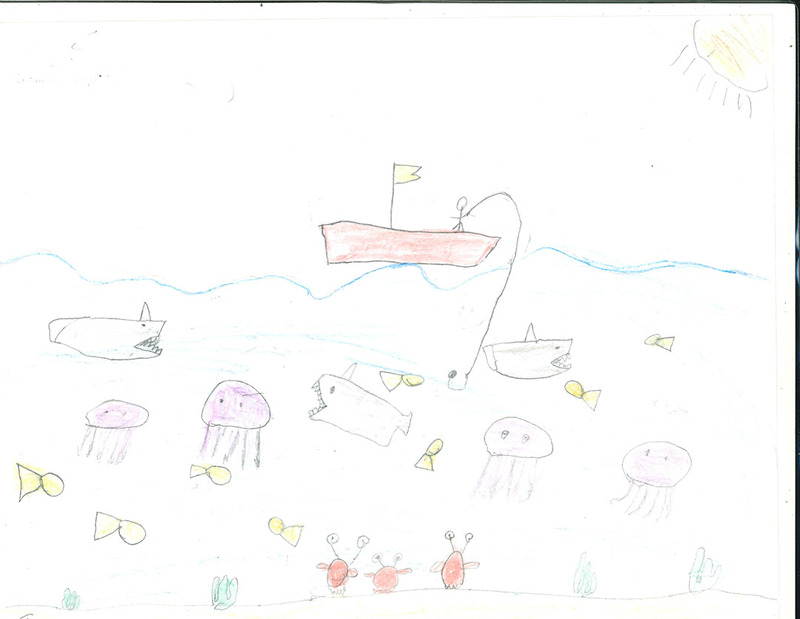 As mindless jellyfish float among happy whales and menacing sharks, in the ocean, anything can happen." 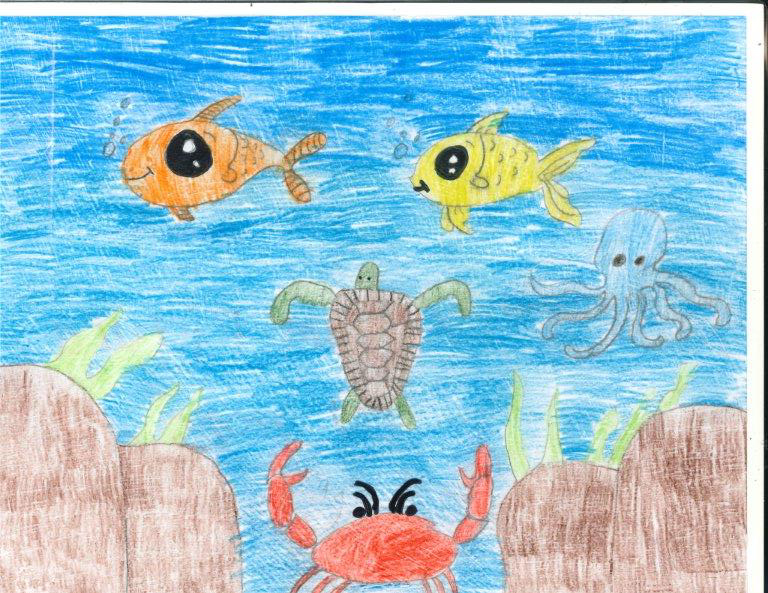 Quote from the Artist: "This drawing shows the beauty of the majestic sea creatures that thrive in the ocean." 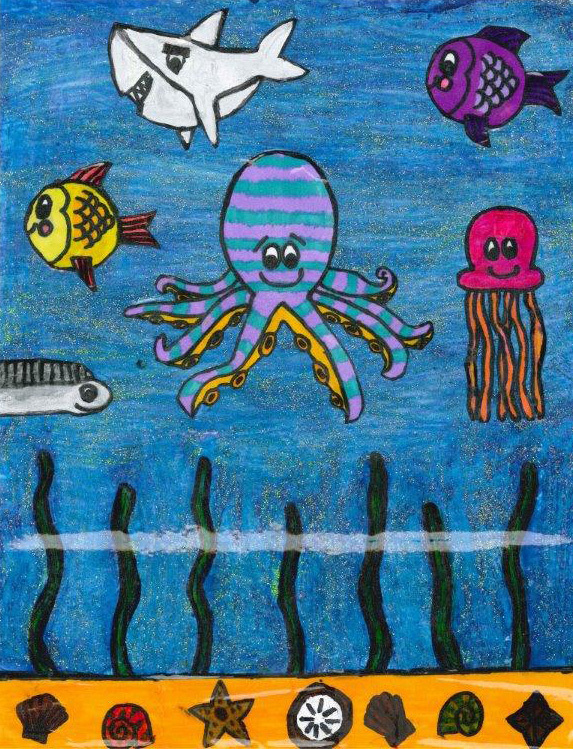 Quote from the Artist: "This is an underwater ocean adventure for Bobby the octopus. 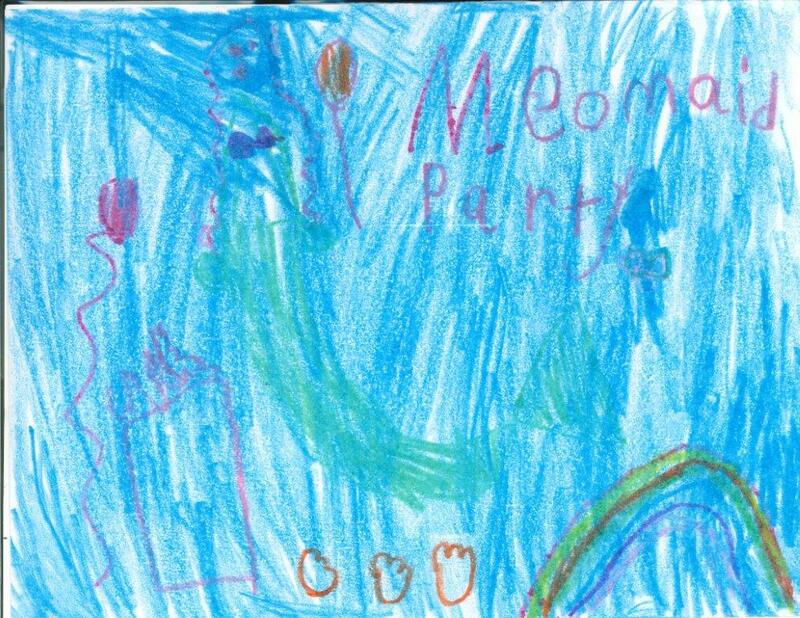 His friends are Charlie & Charlotte the fish, Freddy the eel, Joanna the jellyfish and Bryce the shark." Learn about some of our current Fraternal Activities.